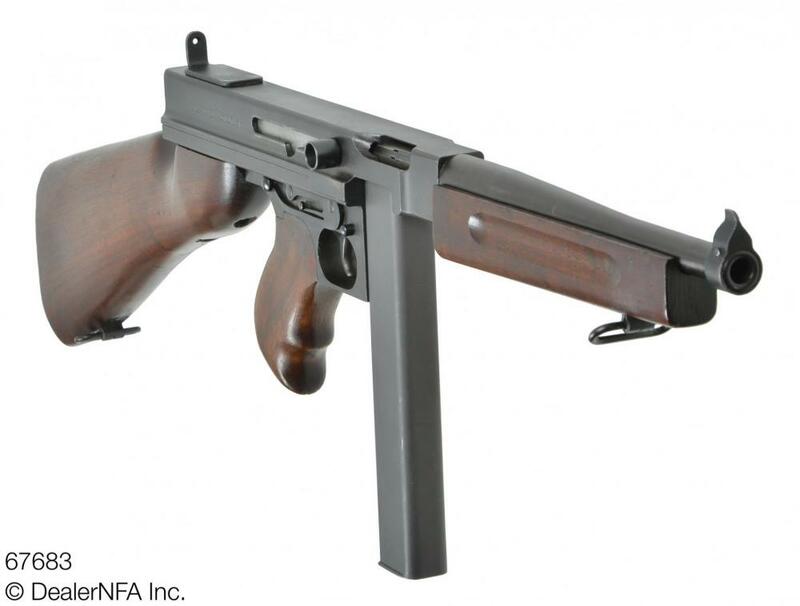 We have the following transferable Savage manufactured M1 Thompson Submachine Gun, serial number 67683 available for sale. 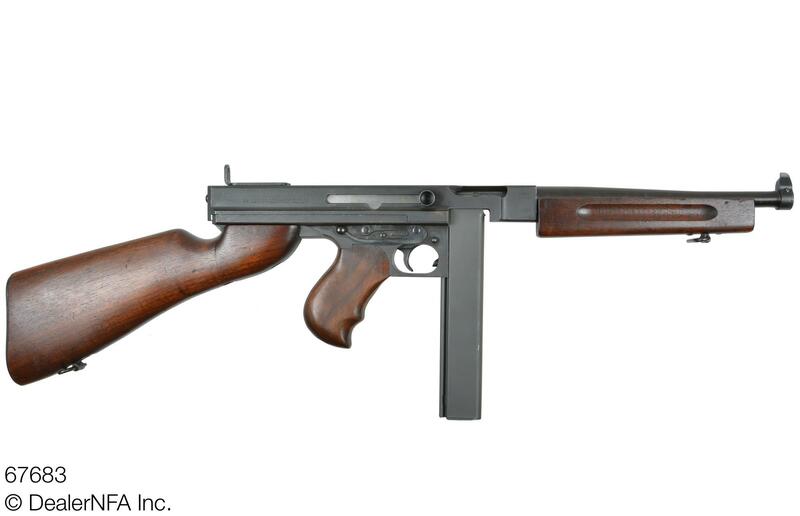 This weapon was likely manufactured during August, 1942, during the second month of Savage M1 production, and it retains many early features characteristic of M1 Thompsons. It has been refinished, but does not show signs of having been through an official U.S. 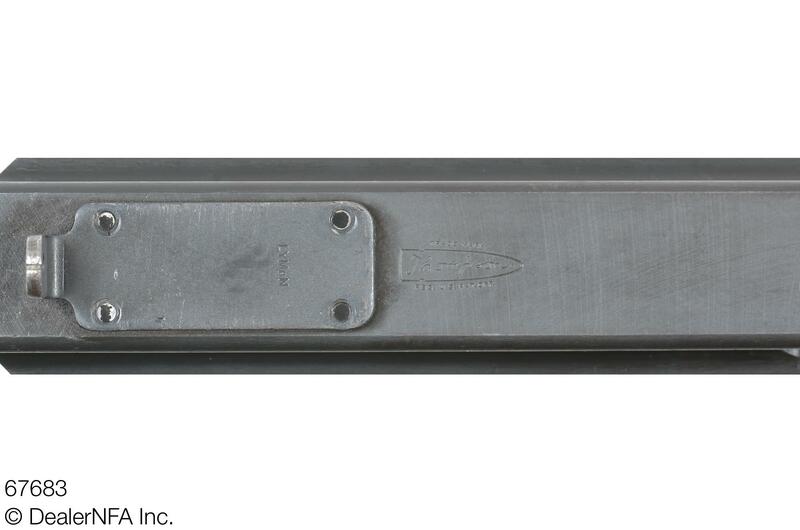 Ordnance Rebuild Program, as it still retains the original "M1" marking on the receiver, without the "A1" update to M1A1. 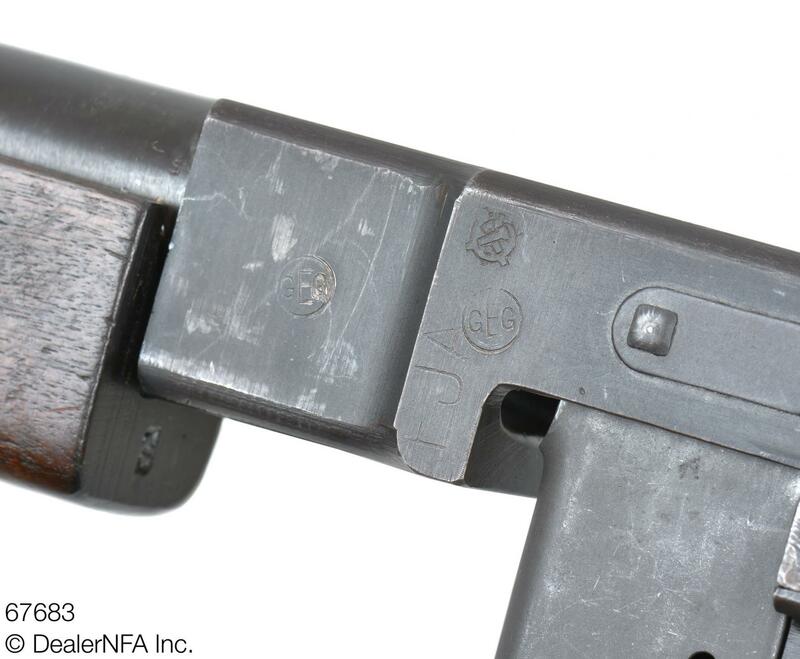 It features the unprotected, early style Lyman "L" sight, and has an M1 bolt, which features the original design, floating firing pin that was later simplified in the M1A1 version. It also has the early buttstock without the reinforcing crossbolt. It has an Ordnance wheel marking stamped on the receiver, as well as an "FJA" inspector stamp, indicating it was inspected under the supervision of Army Inspector of Ordnance Frank J. Atwood of the Rochester Ordnance District during WWII. Such an inspector stamp is the easiest way to quickly identify a Savage M1, since they were not marked with “S” prefixes like the earlier M1928A1 models, and are extremely similar to the M1’s manufactured by Auto-Ordnance in Bridgeport, CT. It also features the Auto-Ordnance acceptance stamp of "GEG" for George E. Goll. 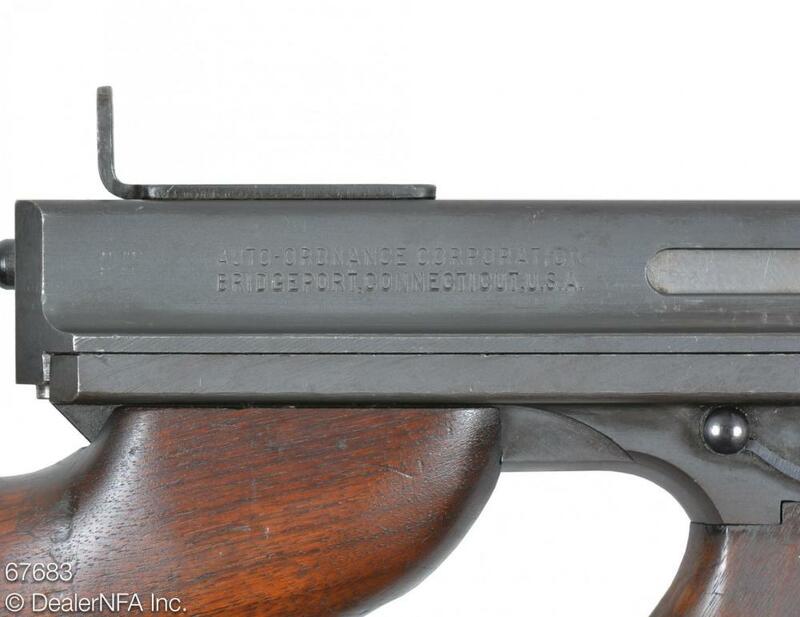 The "GEG" stamp appears twice; once on the receiver nose, and once above the magazine well. George E. Goll was the longest serving employee of Auto-Ordnance, beginning as General Thompson's chauffeur, and he ended up becoming the President of the Auto-Ordnance Division of Maguire Industries during WWII. 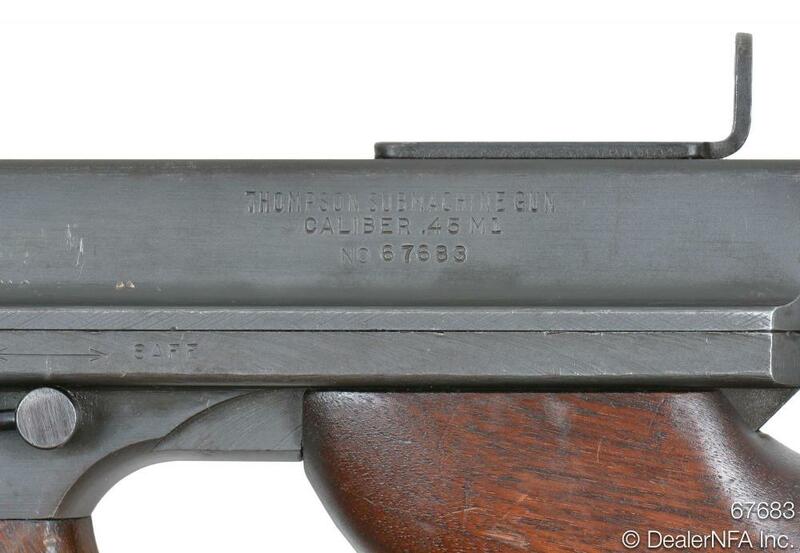 The trigger frame serial number on this Thompson matches the receiver, and the wood is quite nice. The horizontal foregrip is Savage marked. The weapon comes with a 30-round magazine. 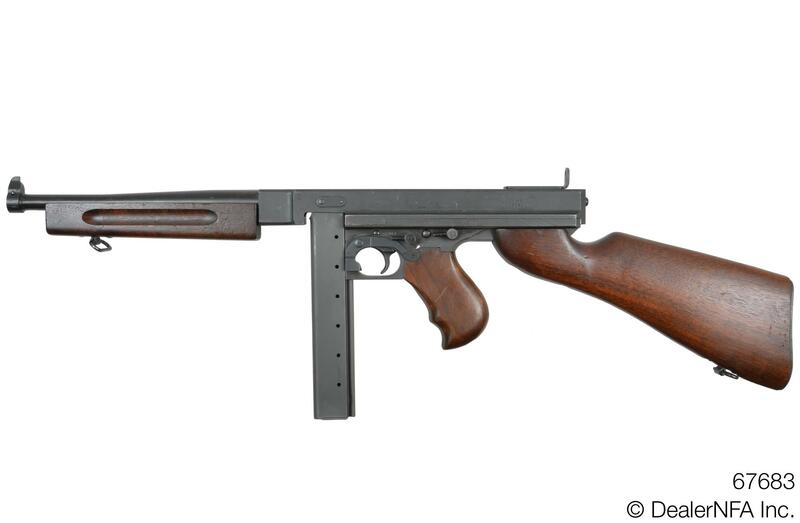 This is a beautiful, early M1 Thompson that any collector would be proud to own.